Welcome to our list of The Top 50 “Hottest” Tours In Canada. Simply put, it’s the best! Toronto’s most comprehensive tour at the lowest price around. Whether you’re in Toronto for a couple of hours or for a few days, there is a perfect tour for you. Offering a variety of tours designed to make your visit to Toronto a memorable one. City Sight Seeing Toronto ensures every bus (as well as the boat) has at least one live guide on board. 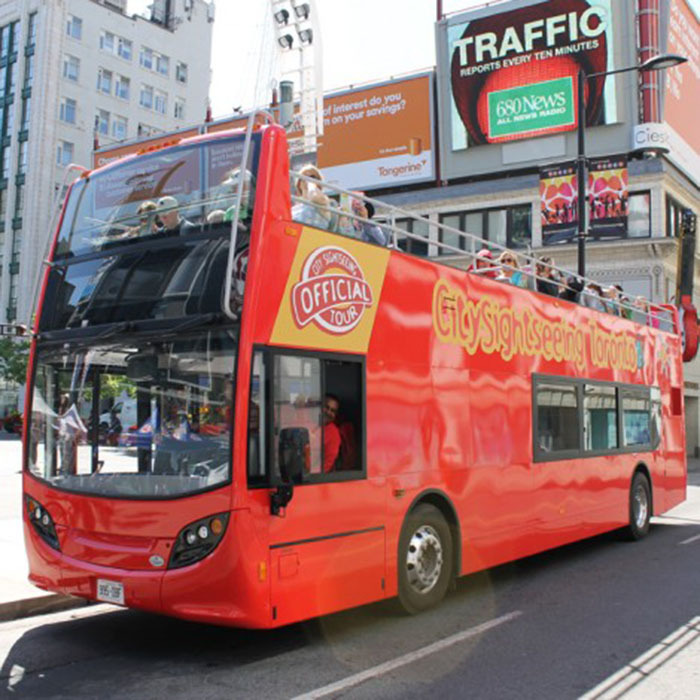 These official City Sightseeing Toronto guides are fun, friendly, and informative. They will animate the sights and attractions along your route and are more than happy to give you advice on how to make the most of your stay in our wonderful city. Each tour ensures you see a large portion of the major attractions and points of interest in the area at a reasonable price. Choose from the Double Decker City Tour, Niagara Falls Day Tour, Harbour & Island Cruise, or the Toronto-Niagara Combo.